I love it when someone creates a product that invokes WDITOT (Why Didn't I Think Of That). 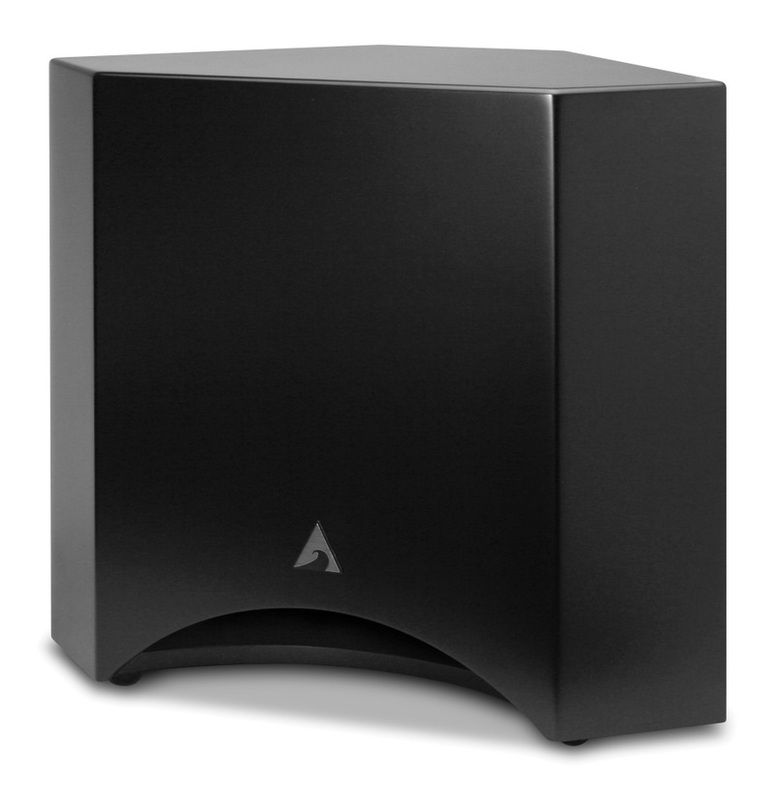 Atlantic Technology is not the first to create a triangular subwoofer, and they're not the first to create an unobtrusive subwoofer, and they're not the first to create a subwoofer that is equalized for a specific spot in the room. But the new $899 10 CSB may be the first to combine all three, by marketing the sub as a solution that is designed to be stuck off in a corner. Corners provide two advantages: they are out of the way, and they're louder. As Atlantic Technology points out in their press release, corners amplify speakers (rooms often have more of an impact on the sound you hear than the speaker quality, and almost always have more of an impact on the sound you hear than the electronics you use. No salesperson will ever tell you this, though, unless they're trying to sell you acoustic room treatments). Corner placement can often cause more problems than it solves, but since Atlantic Technology knew that the 10 CSB will always be placed in a corner, it can account for that in the design. (They don't seem to have included any active room equalization, so my guess is that they simply assumed a certain amount of boominess and tuned the driver and crossover to tone things down somewhat). The key, though, is that a corner is rarely used space - you won't trip over a corner sub, and you might not even notice it's there - the 10 CSB can be painted to match the walls. Performance plus lifestyle should equal sales.